Sketched this morning during an Old Testament Lecture at Cranmer Hall. I like to draw or do mind maps as a way of taking notes and keeping my attention on the subject. We were looking at the last few chapters of Zechariah and the prophecy in Zec 12:10 stood out for me and I started to just sketch out the cross and then the crowd looking on and gradually the image shaped up. 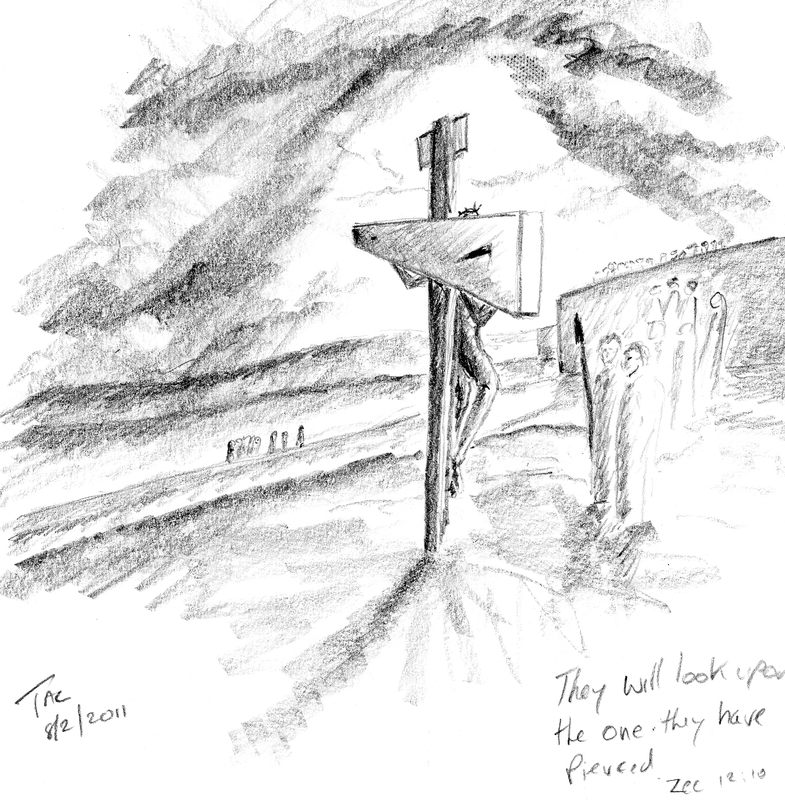 It occurred to me later that I had drawn it from the perspective of another cross nearby. Hmmm. Exploring this thought a little more and we have to decide, if we recognise that the observers position in this image is one one of the other two crosses, which of the two criminals are we? Are we the one who wants Jesus to sort out their problems (get them off the cross) or the one who acknowledges their sinfulness and the Lordship of Jesus and commits themselves into his hands? You might not think you are either one so maybe your just one of the onlookers.